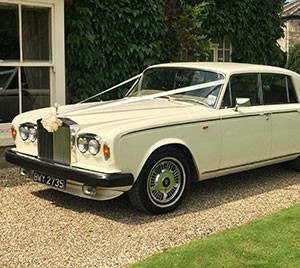 Whether you book just one car, or all of our vehicles, you are assured of a friendly, enthusiastic and magical wedding day with DoveCote Wedding Cars. We believe one of the most important aspects is not only to get you to the church on time but also in comfort and style, not forgetting our excellent champagne or sparkling wine in your wedding car for that extra touch on your special day. 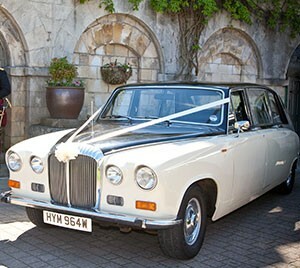 Our Royal 1961 Rolls Royce silver Cloud II is the flagship of DoveCote Wedding Cars fleet. 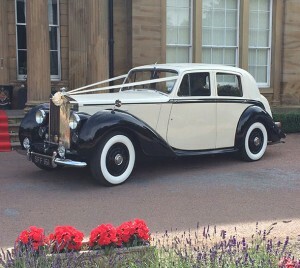 Our distinctive 1950 Rolls Royce Bentley Silver Dawn, is another great favourite with our brides and grooms. 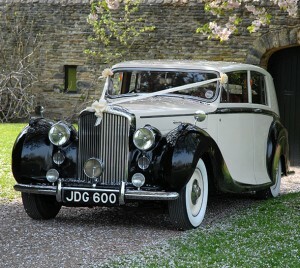 Our beautiful 1950 Bentley MK6, coach built by Hooper, a favourite with many of our brides as the main wedding car. 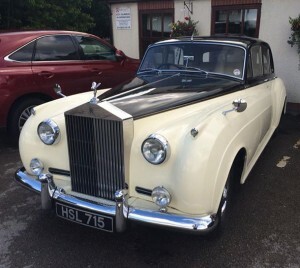 Our stunning 1978 Rolls Royce Silver Shadow II, was one of the highest quality cars built in the 70’s and 80’s and it’s easy to see why. Our Royal 1969 Daimler DS420 State Limousine was built for the Lord Mayor of London. Download our brochure with all the information on our current cars for you to look over in your own time.